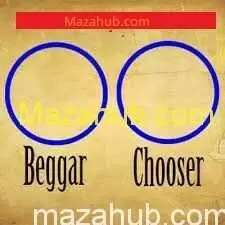 The one who beg are not really "choosers"
Man is very curious by nature and he searches for the best of the best life. His life is full of needs, wants, desires, and devotions. To get all these, he needs to work one who is a hard worker can get from this world whatever he wants. He can live anywhere he likes what he can bring any food to his use. The whole world becomes restricted under his feet. If a person wants to live a free life in which he would live according to his wishes, he should give up taking. They will observe a new world with a variety of beautiful things. If he does so, he will not eat the gowned but he will grow what he will want to eat.